Stinking thinking…anger…hate…self-pity…whining…fighting…manipulating…excuses…reasonings…and the like are THISTLES to our way of life. Dont fret …don’t fear…know the Lord is near. Dont worry…Dont hurry….one step at a time. 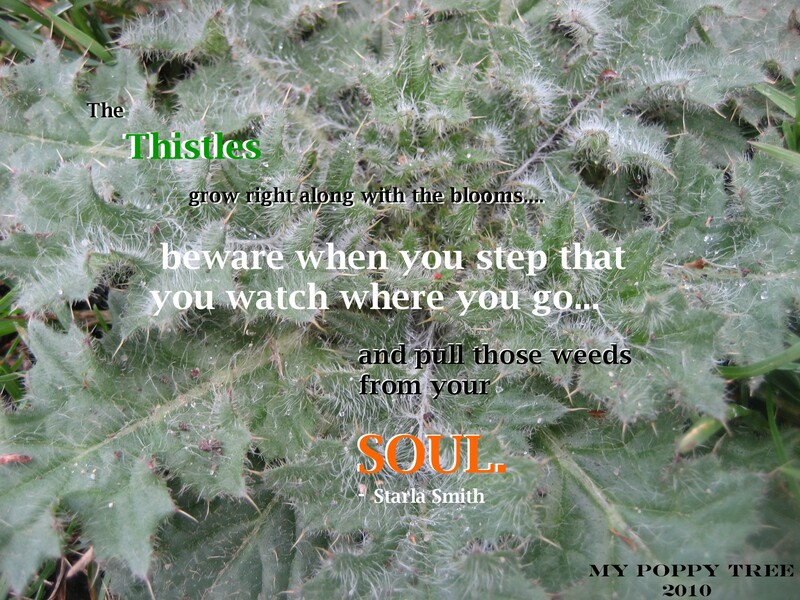 As you go keep your eye right in front of you…and pull those Weeds that you see….and be thankful for the view. Like with any garden if you keep up on it as you go you wont get overwhelmed.